Delisa Skeete Henry, M.D., F.A.C.O.G. Delisa Skeete Henry, M.D. is a board certified Obstetrician and Gynecologist. Dr. Skeete Henry, a native of Guyana, was raised in Miami where she attended the University of Miami and matriculated with undergraduate honors in Biology and a minor in both Chemistry and Psychology. 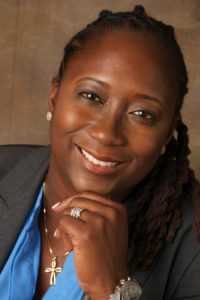 She went on to earn a doctorate degree at the University of Miami School of Medicine and completed her residency at Albert Einstein Medical Center in Philadelphia, PA.
As a member of the American College of OB/GYN, Dr. Skeete Henry provides state-of-the-art patient care performing procedures which include Essure Sterilization, Novasure Endometrial (Ablation), Laparoscopy and Robotic assisted Laparoscopic Surgery. Dr. Delisa Skeete Henry believes it is a true blessing when a child is born and enjoys sharing these special moments with families. She is a proponent of natural birth and has worked with many families that desire a natural birth (vaginal birth without drugs / epidural or medication). 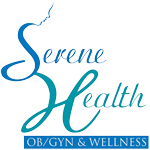 Utilizing techniques of hypnobirthing relaxation, doulas, and hydrotherapy, Dr. Skeete Henry has aided in the delivery of many children. Dr. Delisa Skeete Henry provides care at Broward General Medical Center (BGMC) specifically in The Chris Evert Women and Children’s Hospital. Sher serves as Secretary of the Department of OB/GYN at BGMC. She also works on multiple committees at BGMC, whose efforts improve quality for patient care and physician practices. Dr. Delisa Skeete Henry is married to Dr. Richard Henry, a Chiropractic physician that specializes in back pain, neck pain, headaches, motor vehicle accidents and accidents involving expectant mothers. Together they have four beautiful children. Dr. Delisa Skeete Henry is married to Dr. Richard Henry, a Chiropractic physician that specializes in back pain, neck pain, headaches, motor vehicle accidents and accidents involving expectant mothers. Together they have four beautiful children .